Excited to announce my debut in writing for this wonderful website, MightyMoms. I have such compassion for moms of little ones. As a mom of 5 myself, there were days I wondered if any of us would survive to their adulthood. This article speaks to some of the tried and true tricks I learned over the years. It’s barely noon and you’re already exhausted. You’ll never make ’til naptime! 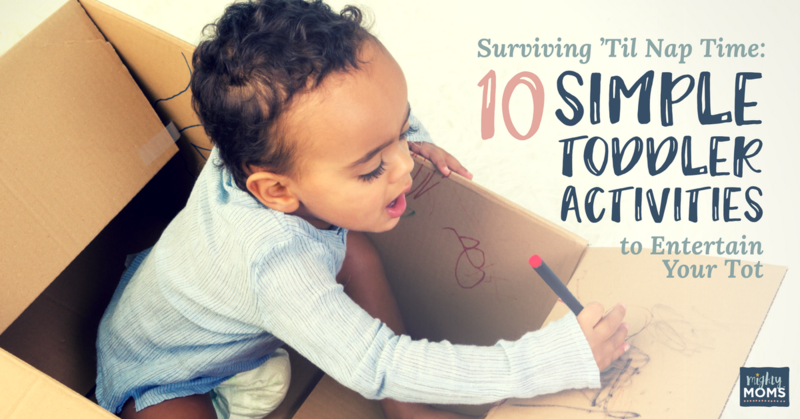 Here are 10 toddler activities to keep him blissfully (independently) busy! This entry was posted in Elizabeth's Latest Publications and tagged MightyMoms post, survival tips for young moms, toddler activities.